Boaz Michael, founder and Director of First Fruits of Zion, tells a little bit about David Stern and the generous donation of his entire library to the Bram Center. A new section in the magazine where we do interviews with travelers coming to Israel. This month we have visitors from Finland and Illinois. In this installment in the series Jacob Fronczak presents the case for the Jewish people being responsible for adjudicating the Old Testament laws. God delegated this responsibility to them. Therefore, the Jewish people alone can decide who is a Jew. 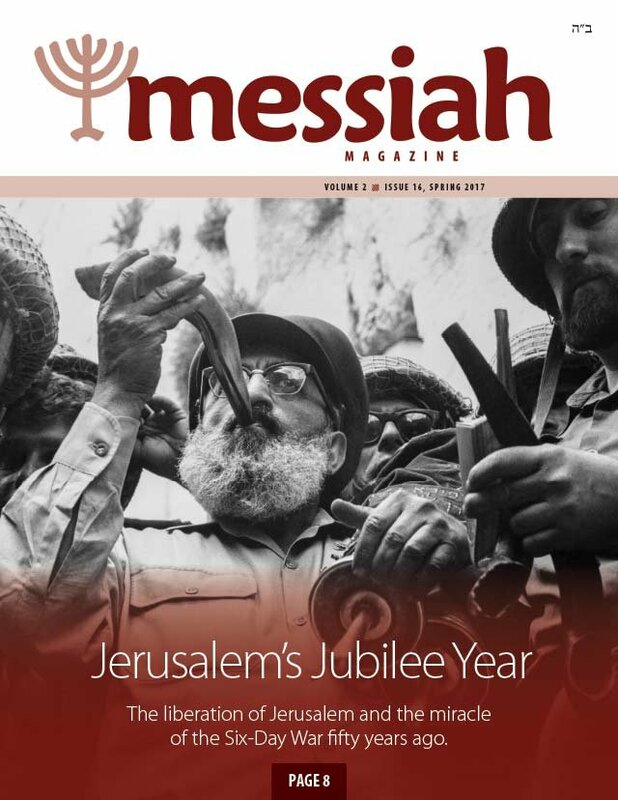 In this short excerpt from Messianic luminary Pauline Rose's story of her arrival in Jerusalem in 1948, we experience an eye-witness account of the conditions in the city during the year that the modern State of Israel was born. How are disciples of Jesus supposed to live? Toby Janicki explores the teacher/disciple relationship of first-century Judaism and relates it to our relationship to the Jewish Messiah. It's important to understand discipleship the way the original disciples of Jesus would have understood it. D. Thomas Lancaster weaves a story together from the Gospels and other historical writings to bring us a tale of King Herod Antipas, John the Immerser, and Yeshua of Nazareth. Why was the king so interested in what John had to say? And why did he want to kill the Master? This article give us a look behind the scenes of a familiar gospel story. Have you ever wondered what the Talmud is all about? Jeremiah Michael explains what it is and why it is a valuable study tool. He also gives us a brief example of a talmudic discussion that brings to life the heartbeat of the sages who wrote it. 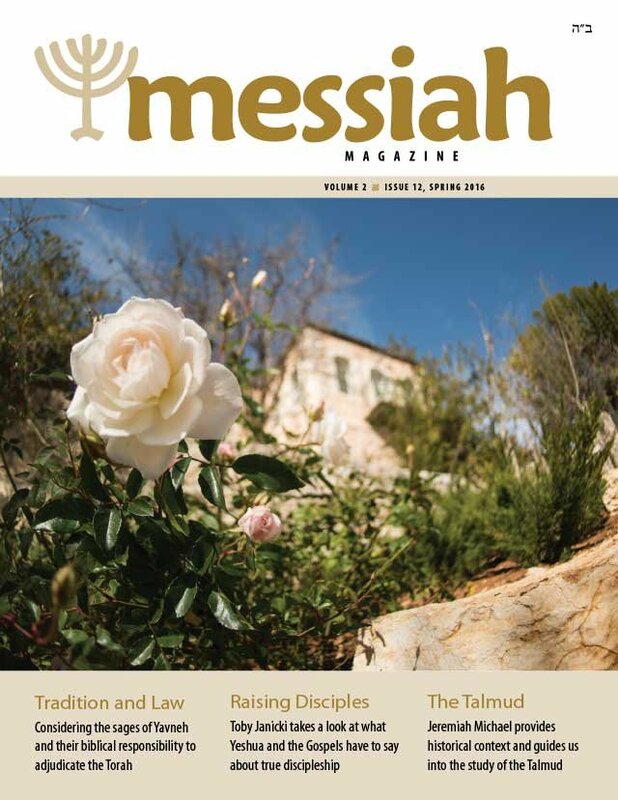 In this article by Aaron Eby we find the spiritual connection between the search for chametz (leavened food) and our own walk with God. He offers practical advice for cleaning out our homes and our hearts. Shayna Michael introduces us to Moran Rosenblit and the ministry of Hope for Israel. This vibrant organization is connecting with young Yeshua-believing Israelis who are heading into the IDF and inspiring them to be strong in their faith. A whimsical story of Bedikat Chametz written from the perspective of a young religious child in Jerusalem. Get ready for Purim and all the fun disguises that come with the celebration. What does Jesus say about disguises? That is a mystery to be solved along with riddles and a puzzle. K.J. Kruger shares an inspiring story about how students from two schools—one Jewish and one Arab—came together for a day of fellowship.